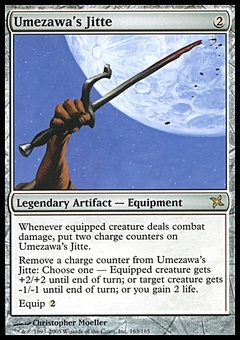 Suleiman's Legacy ($0.65) Price History from major stores - Visions - MTGPrice.com Values for Ebay, Amazon and hobby stores! 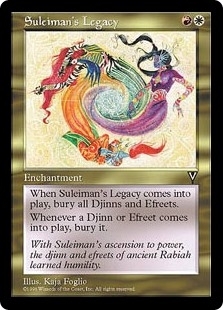 Card Text: When Suleiman's Legacy enters the battlefield, destroy all Djinns and Efreets. They can't be regenerated. Whenever a Djinn or Efreet enters the battlefield, destroy it. It can't be regenerated. 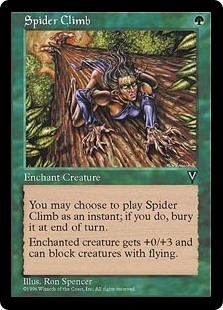 Flavor Text: With Suleiman's ascension to power, the djinn and efreets of ancient Rabiah learned humility.